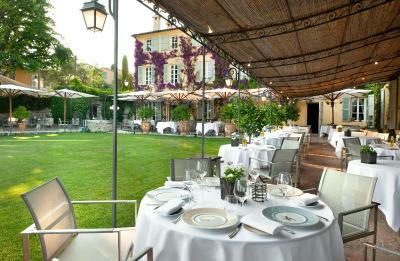 Lock in a great price for Bastide Saint Antoine - rated 8.9 by recent guests. The service and attention to detail were impeccable and the staff was friendly and gracious. Rooms were adequate. Pool could be attended better. 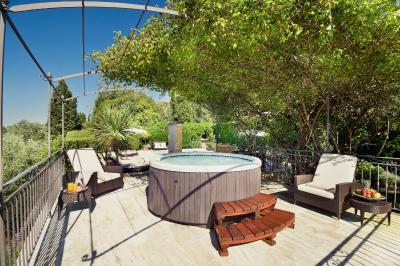 It's only 30minitus drive from this hotel to Cannes and it's much confortable and bigger size of a room available at the same price. 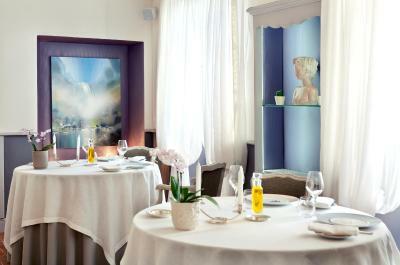 Also the stmosphere and taste of the restaurant is excellent with the nice view. The facilities were excellent especially being able to relax at the pool after a long day sightseeing. The view was breathtaking and the restuarant was top drawer. Nice hotel with traditional touch. 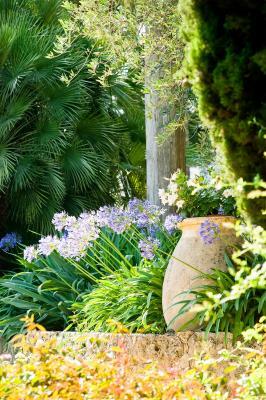 Good location from which to visit the beautiful little villages in the Grasse area. The restaurant is - no surprise - brilliant. Every course was masterfully created and executed. We had a dinner which we will not forget. 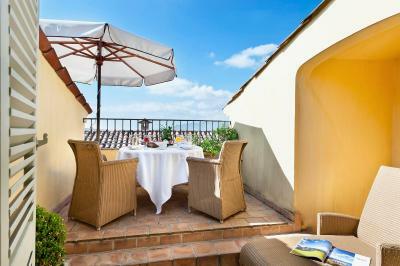 Breakfast is very good too, location of breakfast room and terrace is great. And the house cat is a treasure. Great view and great facilities! Love the ecological condition. Have a wonderful memory here. Stunning hotel! Wonderful location with superb views across rolling hills down to the sea. 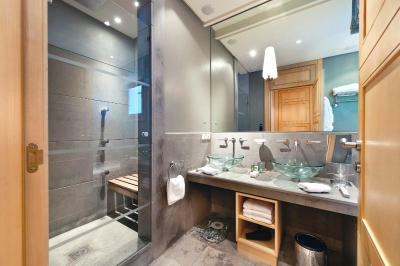 Rooms are lovely, clean and well appointed. Staff are brilliant, very helpful, courteous and professional, especially in the restaurant.The food is exceptional, as is the wine list! Its a lovely, lovely place to stay!! 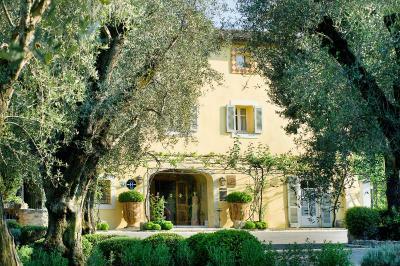 Set within 5 hectares of Mediterranean gardens, this 18th-century building is in Grasse, famous for its perfume industry. 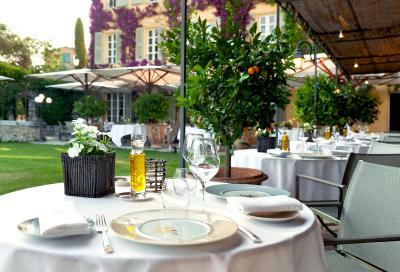 Guests can relax in the outdoor swimming pool and hot tub or enjoy gourmet food at the Michelin-starred restaurant. The air-conditioned guest rooms have views of the garden and surrounding valley. Each is soundproofed and includes a flat-screen TV, an iPod docking station and free Wi-Fi access. 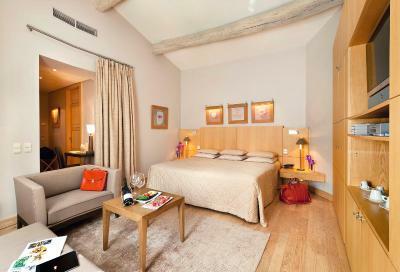 Continental breakfasts can be delivered directly to guests’ rooms at Bastide Saint Antoine. Meals can be enjoyed in the dining room or on the garden terrace. The hotel hosts cooking courses and cellar visits and local products and gifts can be bought at the on-site store. Molinard and Fragonard perfumeries are 900 yards from Bastide Saint Antoine. 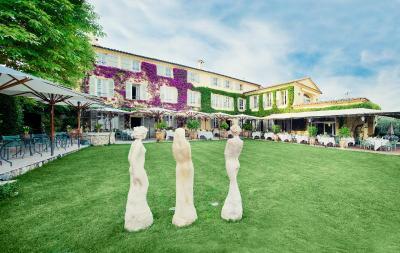 The hotel is just 10.6 miles from Cannes and 23 miles from the medieval town of Saint-Paul-de-Vence. Free private parking is provided. 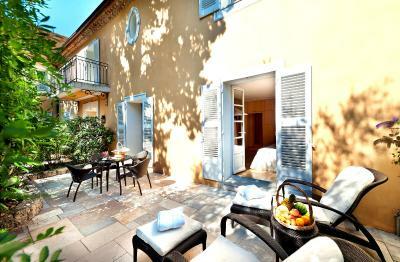 Bastide Saint Antoine has been welcoming Booking.com guests since 30 Dec 2011. 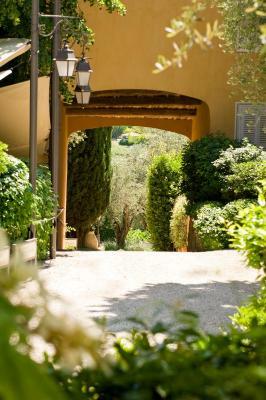 When would you like to stay at Bastide Saint Antoine? House rules Bastide Saint Antoine takes special requests - add in the next step! All further older children or adults are charged EUR 58 per night for extra beds. Bastide Saint Antoine accepts these cards and reserves the right to temporarily hold an amount prior to arrival. 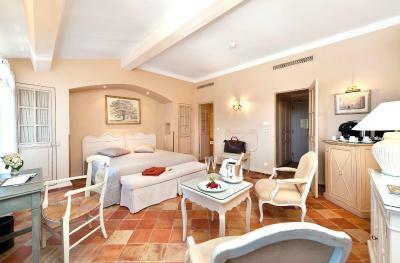 Please note that only Suite, Prestige Suite and Apartment can accommodate an extra bed. The rooms need paint and felt scrappy. The meal was entirely over-rated and the service was largely poor. The grounds and the location were beautiful. The food was exquisite but I would have liked the option of a simple menu as well and not just gastronomie every evening. Overall the room was all good the only perks that I found were the sounds coming from the others rooms, apparently someone was taking a shower and it sounded like there were inside my room. In a place like this you expect the walls to be a little bit more thick. The bathroom was really cold. The restaurant was a big fall. I eat really often in Michelin stars restaurant and I know what to expect from them, but this one was a big fail, way too expensive for one Michelin star, the service it wasn’t good at all, I mean no so special for the expectations that I had, we took a seasonal menu of four corses and I found only one dish acceptable. The fish was way too buttery. The meat was boring And the dessert was a disaster. Only the first course was good, but I think only because was a classic of the fine dining kitchen. The price of the wine was fine. I’m really sad to write a review like this one, I usually prefer to do not write if I had a bad experience but this time I think is right to do it because from Michelin stars restaurant I do expect more than the normal standard. The service and facilities were not commensurate with the charges. The restaurant charges are ridiculous and at the very least the service should be exemplary to get even remotely close to justifying them. The cost of the meals were very high. I booked a suite and was told on arrival that they had made a mistake and sold it twice. I was allocated a standard room. I didn’t seek any compensation and neither was I offered any. Apparently this conduct is acceptable, which surprises me. I didn’t make a fuss and they didn’t try to improve the situation. They are very mean with providing water. There were two small bottles of water and these were not replaced. I requested replacements, and was given just one more bottle, which was put on my bill. As a Relais and Chateaux hotel, I am puzzled at these two significant issues. The restaurant, service and food is excellent. More lights in room and bathroom.